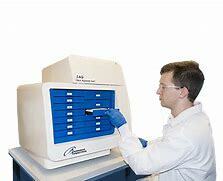 The ZAG is the ideal instrument for large-scale, high-throughput facilities focused on the qualitative assessment of DNA fragments. 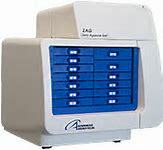 The ZAG DNA Analyzer is a high throughput capillary electrophoresis instrument designed for the qualitative analysis of DNA fragments. Ideal for facilities that must screen thousands of DNA fragments per day, the ZAG relieves analytic bottlenecks with an easy to use protocol and intuitive analysis software. A specialized software package, PROSize® Data Analysis Software, enables the quick analysis of DNA fragments post-capillary electrophoresis. Capable of the simultaneous analysis of thousands of separations, PROSize directly enables the quick and efficient assessment of peaks of interest.